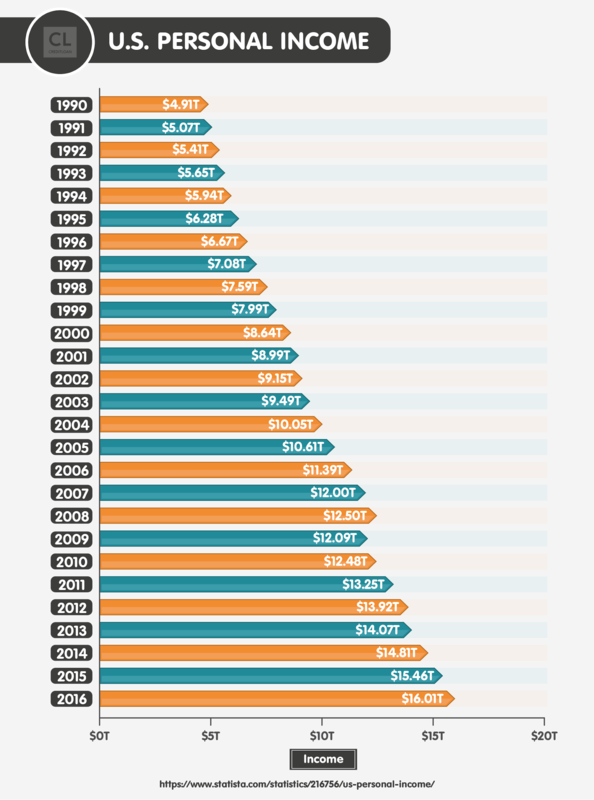 Americans have racked up more credit card debt than any other time in history. Even if you feel your debt situation is fine, this debt might soon start to affect you. Consumer credit card debt in American is at an all-time high. 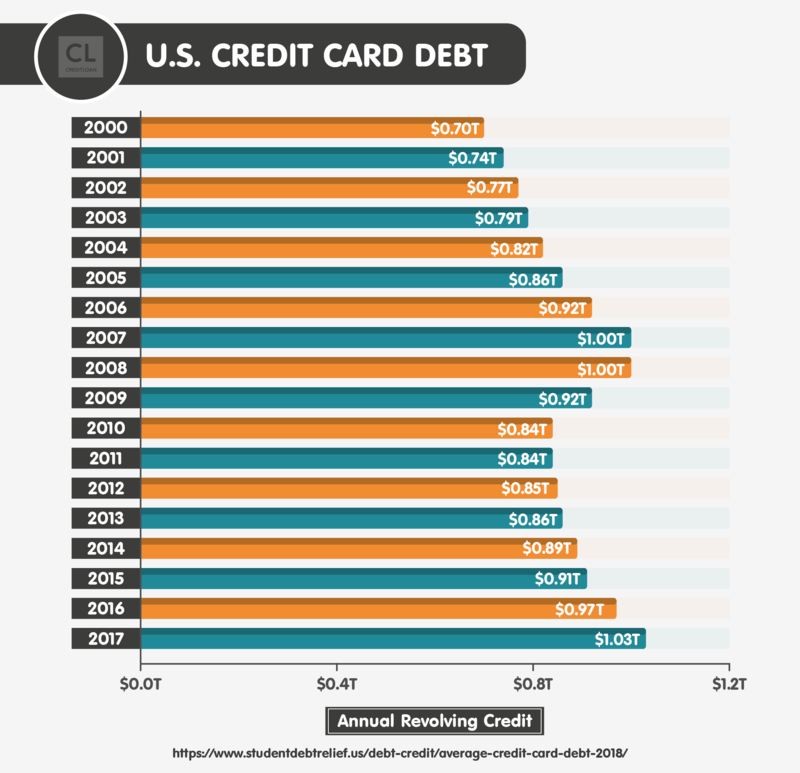 U.S. credit card debt now stands at more than $1 trillion, joining housing, vehicle, and student loan debt at that amount. During 2017, Americans racked up more than $92 billion in credit card debt. This is also known as revolving debt, which changes as you charge more and make payments. Revolving debt is different from installment debt, such as mortgages, student loans, and auto loans. The average household is carrying $8,600 in credit card debt. That's more debt than consumers had at the previous debt peak in 2008 during the Great Recession. When you look at only households that carry debt, the average debt-carrying household had credit card balances of more than $16,000. Even if you try to be careful with your credit use, the size of America's consumer and government debt might have an impact on you in the near future. The good news is, you have a wide variety of ways to lower your current debt and protect yourself. Why is Credit Card Debt Soaring? When people have better job security and higher household incomes, they feel they'll be able to pay off discretionary purchases. This leads to higher spending and higher credit card use. In May of 2018, the unemployment rate dipped below 4%. That's its lowest level since 2000. Lower unemployment means there are fewer workers to fill jobs. That means more job security and higher wages. The stock market also soared to new highs in 2018, which means people have more confidence that the U.S. economy is going to stay strong. Additionally, people are defaulting on credit cards at a lower rate. This tells lenders they can afford to lend more money. This leads to easier access to credit and less costly credit products for consumers. All of this leads to higher spending and higher household debt. When consumers feel confident and start piling up debt, that can hurt the economy, especially if consumers aren't saving. If you're highly confident in the economy and your job situation, you might add extra debt that's easy to handle now. But this could be a serious problem if you lose your job. It's important to understand how consumer debt can affect the U.S. economy if you want to spot warning signs that you might need to prepare for another recession. It might also lead you to re-examine your personal financial situation. No matter how well you're doing financially, it's important to know how long you can go without a paycheck in the event you lose your job. This will help you start managing your debt and savings better. Is Credit Card Debt a Bad Thing? My personal belief is that if you don't use credit, you're not learning an important life skill. In addition, you won't have a safety outlet if you're in a jam and need to make an important purchase. Also, not having a credit card can lead to using up your cash when funds are tight. This can mean bounced checks, overdraft fees or an inability to pay other amounts that come due. Plus, with all the hacking going on these days, I'd rather have my credit card hacked than my debit card. My debit card is tied to my bank account. It's easier to get your credit card company to remove unauthorized charges from your account than it is to get your bank to replace the cash that was cleaned out of your checking or savings account. Not all credit card debt is bad for individual consumers. If you're buying items to make improvements to the exterior of the house, for example, you increase the value of your home. If you buy a car that's necessary to get to and from a job, that's not a bad purchase. Some cards offer cash back, air miles and other rewards. When consumers make purchases, it stimulates the national economy. If you're only able to make certain purchases using a credit card, such as large items, you're helping the economy. Without the credit card, you wouldn't have been able to buy the item. Some of America's credit card debt is short-term. If you charge things but pay off your total card balance each month, you pay no interest. That lets you keep that cash in an interest-bearing checking or savings account a few weeks longer each month. Credit card debt can get to a negative tipping point, however. If you carry large balances on your cards, you now have to pay more interest. That's a new monthly expense, even if you don't make another purchase. High credit card balances also lower your credit score. This makes it harder to get more credit, such as for a mortgage or vehicle loan. Even if you can get new credit, low credit scores result in higher interest rates and lower credit lines. It's a good idea to compare your spending to the spending patterns of other Americans to see if you can learn anything that can help you manage your money better. As people spend more, the economy grows. Higher wages can lead to higher prices. The U.S. Federal Reserves often tries to prevent the U.S. economy from "overheating" by raising the Prime Rate. The Prime Rate is the interest rate at which the government lends money to financial institutions, such as like banks and credit card companies. When the Prime Rate rises, your credit card interest rates can rise. Check to see how many of your credit cards have fixed APRs and how many variable interest rates. With a variable interest rate, your monthly interest rate goes up each time the Fed raise the Prime Rate. As you can see from Americans' $1 trillion dollars in credit card debt, people aren't using credit wisely. That means they will have to start spending less. When consumers stop spending, businesses begin to struggle. They might have to lay off workers. That can lead to higher unemployment, which then leads to lower wages and benefits. Add to these factors the fact that the recent tax cut Congress passed hasn't worked out as planned. American businesses were supposed to use their tax cuts to improve their companies and hire more workers. Instead, U.S. companies bought back their own stock to increase the value of their shares. 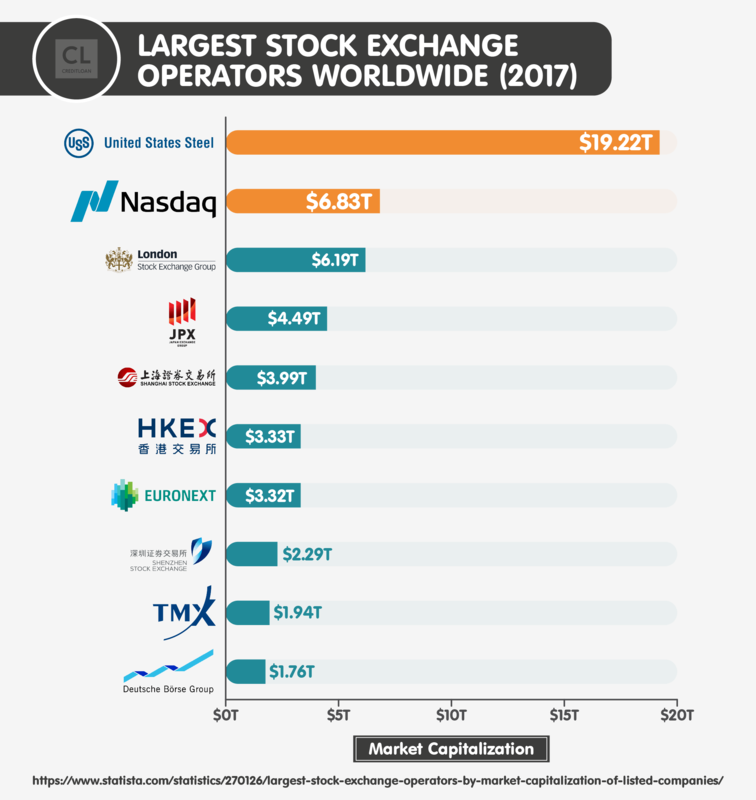 This made investors happy, as well as the executives who earn stock shares each year as part of their compensation. Lower incomes might lead to higher state and federal income taxes. They can also lead to government spending cuts. These spending cuts can affect your safety, such as reduced police and fire department spending. Federal and state spending cuts in education, healthcare, and infrastructure improvements can lead to higher local taxes and reduced quality of services. When large numbers of consumers stop paying their credit card bills, lenders start tightening their lending. They also raise fees and interest rates. Defaults and bankruptcies can also lead to less credit available for businesses. This means businesses can't make improvements they need to expand or stay in business. While credit card defaults are still well below their Great Recession peak, card companies like Capital One and Discover are starting to see more defaults. In addition to that, U.S. consumers are at least three months' behind on $12 billion of their credit card debt. High delinquency rates lead to higher interest rates for borrowers. In addition, Americans added close to $68 billion in credit card debt during the first quarter of 2017 alone. That's the largest quarterly increase in 30 years. That's an almost 70% increase over the average quarterly debt consumers have been adding since the end of the Great Recession. If you carry a high amount of credit card debt and you lose your job, or have to take a pay cut, you might start missing debt payments. You might eventually have to declare bankruptcy. It can help to see where you stand compared to other Americans. Start by seeing how you rank in your state to get a better idea how you're doing. Americans aren't saving for retirement anymore. More than 50% of households have nothing saved for retirement. The rest have an average of only $35,000 saved. What's going to happen with 100 million or more seniors, with crazy-high health care bills have no money to pay their bills? They can't live on Social Security. Monthly Social Security checks are supposed to be supplements for you. They'll only pay a fraction of your nursing home costs if you go into a memory unit, for example. Once the retirement financial crisis hits, there's no spending bill the U.S. government can pass that will be able to take care of millions of seniors for 30 years or more. If you have credit card debt, did you spend money you could or should have put into your retirement savings? Do you even know how much you should be saving? Use an online retirement calculator or meet with a Certified Financial Planner to determine what your retirement "number" is. This is how much you will need to have in savings on the day you retire to be able to pay all of your bills through retirement. Once you know your number, you can then use a free online calculator to determine how much you should already have saved at your age. If you're like most Americans, you will probably be shocked (and scared) by what you learn. If you find you aren't preparing for retirement properly, don't try to figure out how to do it by yourself. If you own stock and the value rises each year, you'll need specific tax strategies to avoid paying extra income tax on your capital gains. Your age will also determine whether you should invest in riskier investments with higher payoffs or safer investments with a smaller return. If you can afford one, hire a Certified Financial Planner (CFP) to help you figure out your best options based on your individual situation and current net worth. You don't need to hire a CFP to manage your money after you pay for a consultation. Some will offer you a free consultation and planning session if you are going to use them to manage your retirement investments. Credit reports. When you use credit, many, if not most, of the companies that lend you money report their experience with you to one of the three main reporting bureaus. They are Equifax, Experian, and Transunion. The three bureaus compile your information and create reports about you. This includes your name, address, previous employers, credit products you've had, payment history, and current balances. Potential lenders look at your reports to determine you are a good risk or not. It's important to make sure your credit reports are accurate. You are entitled to one free copy of each of your reports per year under federal law. You can contact each bureau at their website and ask for a free copy of your report. You can also get all three reports at AnnualCreditReport.org. Review your reports. If one or more contains an error, file a dispute using the information at the website of the company or companies that you believe have incorrect information. Credit scores. Lenders also look at your credit scores. The two main scoring companies are FICO and VantageScore. These companies use your credit reports and your current balances to generate your score. You have a number of ways to improve your score, even if you've made credit mistakes in the past or recently declared bankruptcy. You can use a credit-monitoring agency to get your scores. Your credit card issuer or mortgage lender might also provide monthly scores for you. Scoring companies and services tell you what is affecting your scores so you can try to raise your scores. APR. How much interest you will pay during the course of one year on a balance you carry is your Annual Percentage Rate. It's important to compare APRs on credit cards, auto loans, mortgages and other credit products before you sign a contract. In some cases, you can call your credit card company and ask it to lower your APR. Some might lower your rate a few points to avoid losing your business. Fees. Lenders make much of their profits on fees. These include annual fees, late-payment penalties, overcharge fees, ATM fees and other fees. Make sure you learn all of the fees associated with your accounts so you can avoid them. A good place to start is your monthly credit card statements. Read the front and back of your statements to learn the terms of your credit card agreement and how you're charged for different credit amounts and services. Balance transfers. You can often move debt from a credit card or loan to another lender to reduce your interest fees. For example, if you have $5,000 at 20% interest on one credit card, you can move that balance to another lender's credit card at little or no interest. The new lender is gambling that you won't be able to pay off the $5,000 by the end of the balance transfer period. Balance transfer interest rates usually don't last more than 18 months. Some balance transfers are free, while others have a transfer fee. Be aware that some transfers charge a low interest rate during the promotion period only. After that, you pay a higher APR. Cash advances. If you have a credit card, you can use the card to take out cash at an ATM. You can also cash a "convenience check" that credit card companies include with your monthly statement. These transactions are called cash advances. Cash advances have the highest interest rates associated with your card. They can also come with fees. Make sure you know how much you will pay for a cash advance before you make one. Rewards. Some credit cards offer rewards, such as cash back, airline miles, hotel discount points, shopping points, and purchase protection. However, if you carry a balance on your card, you might end up paying more in interest than you save on rewards. Debt consolidation. If you have so much debt that you're struggling to pay it, you can consolidate your debt products into one new loan with one lender. Know that a consolidation appears on your credit report. A consolidation can help you deal with high debt and even avoid bankruptcy, but usually hurts your creditworthiness and score. That's because when you do a debt consolidation, your new lender will take on your debt, then negotiate with your current lenders to reduce the interest rates you promised to pay them. Consolidators are very aggressive and usually hound your old lenders into big debt cuts. Your old lenders won't be thrilled with this, and future lenders will take note that you did this. Creating a budget lets you see how much you actually spend each month compared to how much you earn. In one document, you can see your annual income, necessary expenses, discretionary expenses, debt balance, interest, and fees. This lets you decide where you can cut your spending to improve your financial situation. The more you cut discretionary spending, the sooner you can pay down credit cards. This improves your credit score, which can give you access to more credit at lower rates. You might also get more balance transfer offers. This can help you reduce interest payments and use that money to pay off cards even faster. Budgets also help you increase your savings. 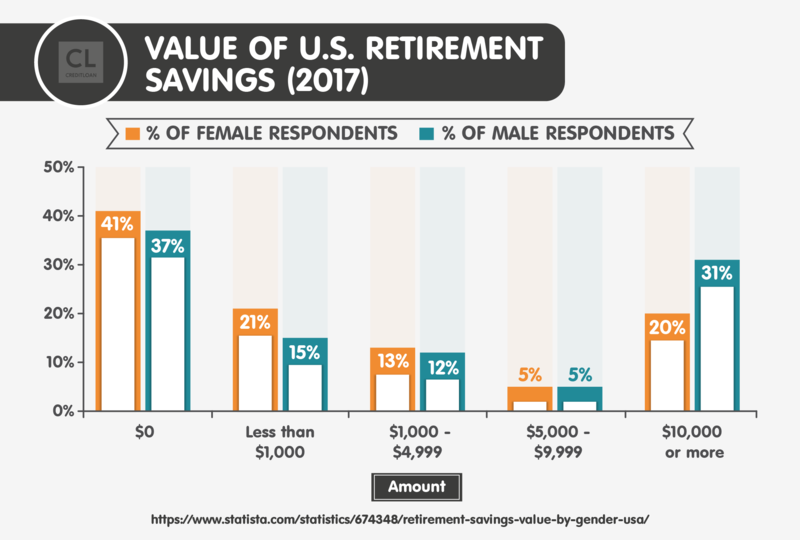 Savings categories often include retirement contributions, mortgage down payment, emergency fund, kids' college fund, life insurance, and additional health insurance products. The best way to reduce your financial risk is to create a personal financial plan. You want to consolidate everything that is costing you money (debt, fees, credit report errors) and plan to reduce them. Then you want to look at every opportunity you have for controlling spending and maximizing income. That will get you a basic financial plan that will help you protect yourself. How many months could you live without a paycheck? If you haven't run the numbers on this, do so sooner than later. If possible, try to save enough money in an emergency fund to pay your bills for three months. An emergency fund can also help you when you're employed. You might have a health, vehicle or home emergency that costs thousands of dollars. If you don't have enough room on your credit cards, you might not be able to pay for emergency needs. Even if you have enough room on your cards, you might rack them up to the point your interest becomes unmanageable. You can create an emergency fund by setting aside a dollar amount each month, or a percentage of your extra monthly income. Dave Ramsey suggests the "snowball" method. He suggests you pay off the card with the lowest amount first to get a psychological win. Others recommend paying off the card with the highest amount first to reduce your monthly cash payments. Still, others recommend paying off the card with the highest interest rate first to reduce the amount of interest you'll have to pay. This is known as the "avalanche" method. One tip I recommend is to use low-interest balance transfers to help reduce interest from piling up while you pay down cards. If you have a good relationship with a family member who is financially stable, you can create a win/win for both of you. If you have a credit card with a high interest rate, say 25%, ask your family member to lend you money at 10%. You cut your interest payments by 15% and your family member earns more interest than he or she could have with a checking or savings account or certificate of deposit. One reason Americans get into debt is that they overpay for goods and service. For example, most people spend much more than they need on groceries. Why pay $1.20 for a can of brand name corn when you can buy the house brand for 40 cents? Many products you buy on a regular basis go on sale every two or three weeks. Find out which ones, wait until they go on sale, then bulk buy. If you add dining out to buying groceries, food is the third-largest expense for Americans, after housing and transportation. If you haven't been to thrift stores, including Goodwill and Salvation Army, you'll be amazed at the quality of their clothing, housewares, furniture and other common items. Affluent people donate their items for a tax deduction. That lets nonprofit thrift stores sell high-quality items for pennies on the dollar. Use Facebook and your email address book to ask friends, family, and co-workers for recommendations on affordable services like home repairs, oil changes, and landscaping work. What skills do you have that can help you earn extra income? Even a small, part-time side hustle that earns you $500 a month can help you rapidly pay down debt. If you earn $500 a month, that's $6,000 per year. If you pay down $6,000 worth of credit card debt that would have stayed on your plastic for a year at 20%, you save another $1,200. How long would it take you to pay off your credit cards if you keep making the monthly payments you're making now and cut your debt by another $7,200 each year? Side hustles can be as simple as dog walking, lawn mowing, babysitting or house cleaning. You'll reduce your credit card debt by $1,000. You'll also eliminate the continuing interest you would have added to your debt for that $1,000. And you'll improve your credit score. You don't have to leave your current job to improve your situation. You can either move up in your area of expertise or make a lateral move. To get a promotion, talk to HR or your immediate supervisor about your future with the company. You can't tell your boss, "I want your job," but you can ask about taking on more responsibility for more pay. This strategy can get you a list of the skills you'll need to add to move up, and a timetable. If you want to move to a different area of the company, let your boss know. You might be able to start volunteering to help with projects for the marketing or human resources or accounting department if that's where you want to go. You might be able to start sitting in on department meetings to gain knowledge. The company might pay for seminars or workshops or online courses to prepare you for a move. Obviously, you'll need to be careful so that your employer doesn't think you're unhappy or ready to leave. Talk to people you trust at the company about how you can open the subject of internal advancement. If the economy tanks and you lose your job, will you be a more attractive employee than your co-workers? Don't wait until you're out of work to start making yourself more attractive to employers. Now is the time to start taking professional courses employers want. Add a certification. Write for your profession's trade magazine. Speak at a conference. Build and manage your network. If you don't have a written career plan, it might be time to start one. A written career plan includes specific steps to take to take you from your current job to your last job. This type of plan includes action items and dates for completion to keep you on track. If you wait for a promotion, you might lose it to a co-worker who lobbies for it. You might lose your job before you've improved your skills for the next-level position you want. If that happens, you will probably have to take another job at your current level and wait two or more years before you get a promotion at your new company. The economy is showing signs that things might start slowing down. Credit card debt is at an all-time high, along with mounting government debt and a climbing deficit. Unemployment is so low that workers are getting hard to find. That means wages might soon start rising. The Fed has recently raised the Prime Rate twice. This will make credit more expensive, not just for business, but for consumers as well. The Fed lends money to the financial companies that lend you money. More consumers are defaulting on credit card debt. That trend will probably increase because more consumers are at least 90 days late with credit card payments. The best time to improve your personal finances and credit is when you don't need to. If you wait until you are starting to have financial problems, you might not have the time, money or credit score to fix things. If you don't have a budget, it might be a good idea to create one. At the very least, take last year's credit card and bank statements and take a look at your income and your spending. Did you spend more money than you made last year? Did you increase or decrease your credit card debt last year? Do you know how much you paid in credit card interest last year? These are basic questions you should ask yourself to determine whether or not you need a more formal plan for your personal finances. If your job situation changed today, do you know how long you can go without income before you start defaulting?